Whatever you do. Wherever you go, the game will find you. 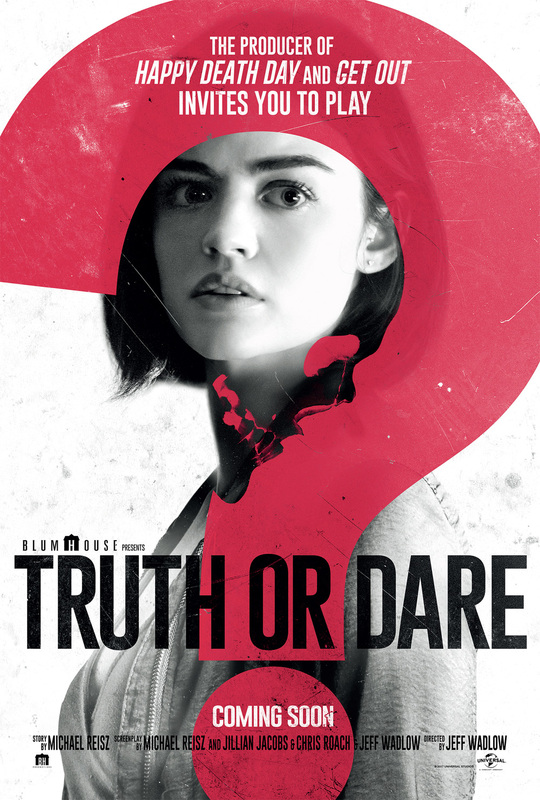 Discussing his inspiration for Truth or Dare, Jeff Wadlow says: "I wanted to make a fun, smart, scary movie with real stakes. Cry Wolf was my first bite at the horror-genre apple, and when producers Jason Blum and Couper Samuelson came to me with this germ of an idea, I thought this was a great opportunity to create a film that audiences could buy into." Wadlow imagined a group of college friends who head to Mexico for one last getaway before they begin their post-grad lives and head their separate ways. As with any core crew, long-brewing romances and allegedly buried conflicts begin to emerge as they prepare to say goodbye. 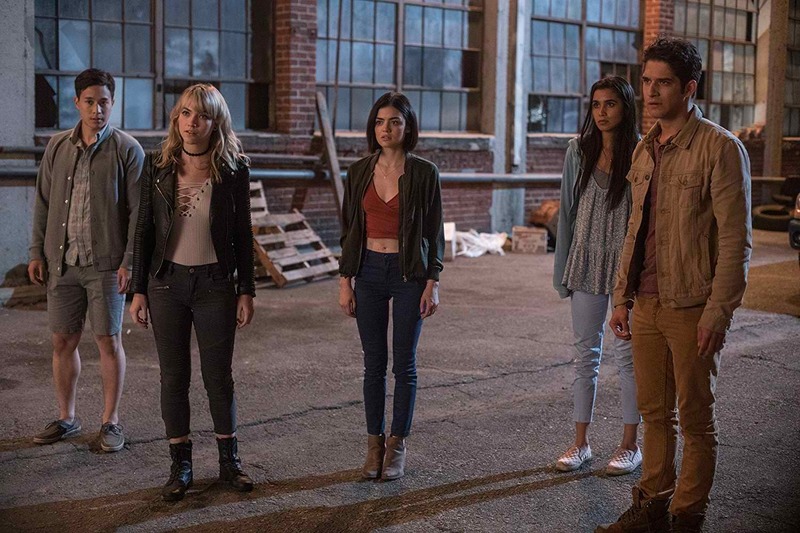 When a handsome stranger cons our heroine into getting her friends to play a supposedly silly game of "Truth or Dare," they awaken a trickster demon that is hell-bent on getting them to share their darkest secrets or confront their deepest fear...and if they don't, they'll pay the ultimate price. "If you want to live," says the director, "you have to either answer as honestly as possible or do the one thing you don't want to do." One of the more entertaining aspects of building the narrative was planting seeds for the audience, allowing the story to move progressively into more terrifying territory. Ultimately, every truth-or-dare sequence was designed to highlight a flaw, weakness or secret a character had been harboring. This ensured that it all felt organic to the character. Wadlow explains: "We show you that this one character has a drinking problem and that one has a crush on her best friend's boyfriend. As the game evolves, and more probing questions are asked by-as well as more personal dares-it's my hope that the audience starts to lean in, learning more about the players. This allows them to play along and have fun, experiencing the dares, and having a reaction to the questions. 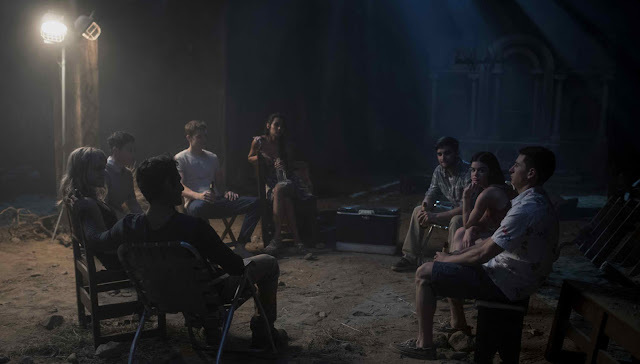 They're not only connecting with the characters but also enjoying the game's malevolence"
In Philippine cinemas May 2, Truth or Dare is distributed in the Philippines by United International Pictures through Columbia Pictures.